Upon receiving your filled up application form, our admin team will generate PROVISIONAL ADMISSION ID and send you the PROVISIONAL ADMISSION LETTER along with instruction to course fees payment options. Course Objective: The objective of this course is to impart knowledge and understanding of the Pharmaceutical Project management keeping in view of pharmaceutical, biotech and biosimilar industry in mind. This online Pharmaceutical/Biopharmaceutical Project Management training course utilizes interactive learning tools to guide each participant through the steps of the project management process which takes place in the pharmaceutical, biotech keeping in view both in innovative and generic industry. The course is designed to challenge students to apply what they have learned through the use of interactive exercises, reflection questions, expert live chat and a final assessment at the end of the course. The course can be completed at any pace, allowing the user to stop and start at their leisure. 2. Simulation to real life drug discovery project management, portfolio management, formulation development (F&D) management in parenteral, solid and semi solid dosage form and novel drug delivery system. 5. Attend Live Lectures of all different chapters / study content. Strategic look into pharma project management. Turns to the key links of pharma projects with pharma business strategy. 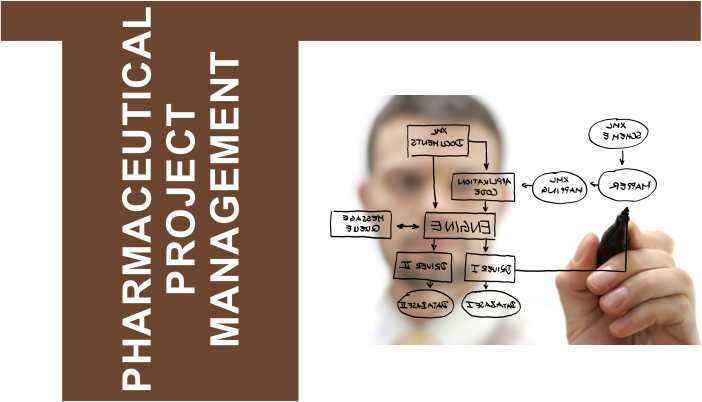 Introduction to Project Management, terminologies and advance content of the project management. Introduction to Project Management, Beginning a Project, Project Planning, Project Budgeting, Project Scheduling, Project Execution, Monitoring and Controlling the Project, Summary of Project Management Knowledge, Tools To Help Make a Project Manager Succeed. Upon admission you will be providing the user id and password to access all the content online. You will also be receiving the soft copy of the e-module (which you can download from your dashboard). Course registrant will be receiving hard copy of the printed module within India only. International participant will be receiving pdf modules (books) by email. What is the importance of project manager in pharmaceutical industry? Drug development is unpredictable The course of drug development is unpredictable and therefore it is critical to have realistic expectations for any given project. There are inherent difficulties in running a drug development successfully and the larger the project the more numerous potential problems can be. Accounting for the factors that can stand in the way of a project’s success and being able to take an objective view of the strategies required is a demanding, but necessary task. Regardless of the amount that a pharmaceutical company decides to invest in its new drug pipeline, there is no chance of success unless a project is effectively managed. At present the pharmaceutical industry is under pressure to improve its productivity, as the number of new products reaching the market has been on the decline for a number of years. The productivity decline has led to many observers believing that the industry requires a new approach to the way in which it runs its projects. It is these circumstances that have led to the rise of project managers in the pharmaceutical industry. Project managers are able to apply past experience to ongoing projects in order to solve problems in a practical manner whilst also being able to develop new approaches to resolve project-specific issues. Although it is impossible to predict every factor that will affect a project, by being proactive the major issues can be identified. Furthermore, any preconceptions can be challenged and alternative scenarios can be devised. Alliances and collaborations are playing a greater role in drug development. Companies are finding that by licensing in compounds they are able to supplement their pipelines. In 2013, over a quarter of the sales of the top 50 pharmaceutical companies were derived from in-licensed drugs and also huge royalities companies received from outlicense molecules. This approach allows the parties to benefit from the commercial and technical strengths of the other organization and the sharing of risk. Yet once again, careful management of a project is required if it is to have any chance of success. Poor project management could negate all the advantages that have been gained through potential collaboration. Lecture 24How are royalties structured in a license? Lecture 25What accounts, inspection and audit provisions are in a license? Lecture 26How is patenting dealt with in a license? Lecture 27What warranties are in a license? Lecture 28What competition law issues are there in licensing? Lecture 42What to Track in project?